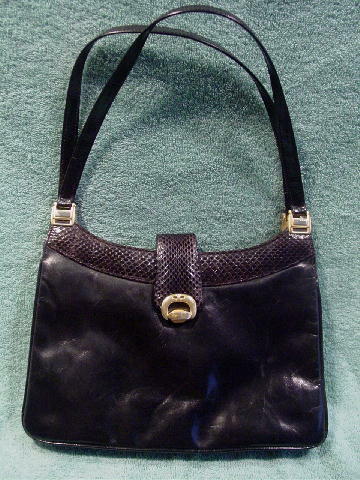 This black leather vintage purse has a black 1 1/4" wide black snakeskin curved top border and a 6 1/2" long snakeskin flap with a gold-tone metal locking mechanism. 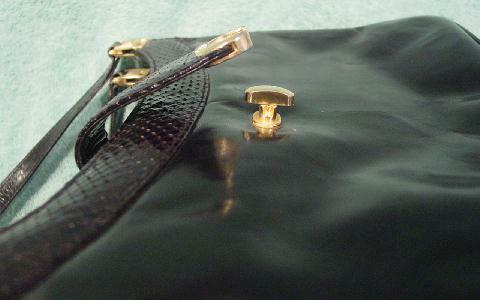 You turn the bottom metal bar to a horizontal position to lock and to a vertical position to open. 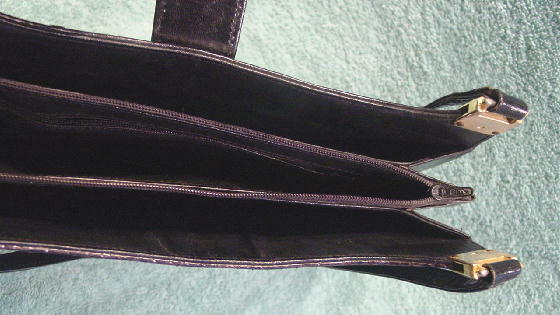 The interior has three sections; the center one has a side to side zipper and it has a large zippered pocket inside. 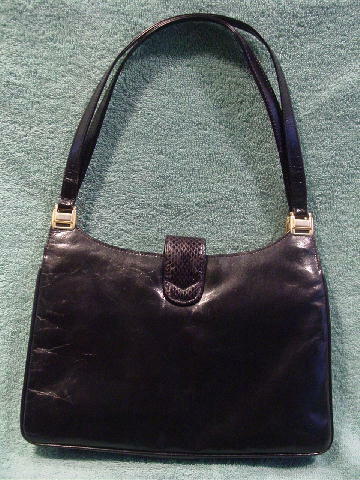 It has two leather straps attached to the purse by somewhat tarnished gold-tone metal clasps. 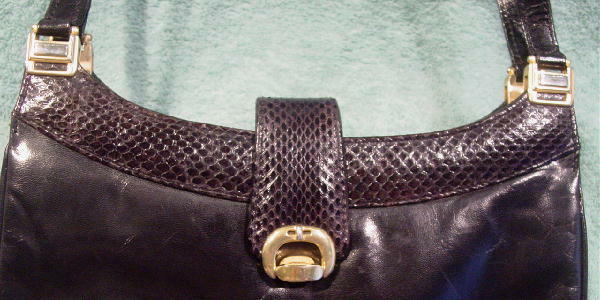 The leather has some wrinkles, a few light scuff marks, and the upper back has line marks to the left of the snakeskin. It's from a former New York model/actress.